I think it's a good sign,they're most probably giving you an offer anyway, I waited for about 15 weeks and got an offer finally,so don't worry! When dis you apply ? They have raised entry requirements...the standard offer for A-levels has always been AAA. I'm currently doing Business Management at King's and am a student representative. Rather easy course on the first year, which gives you plenty of time to get engaged with societies and go to career events/talks or work part-time/volunteer. London is definitively the best place in the UK and even Europe to do that. From the 2nd year onwards it gets a bit tougher but there are some modules which are pretty bad (they are delivered by professors or PhD students at LSE or UCL who do not really care about King's students). Generally, qualitative courses (marketing, law and management, etc) are much better than quantitative ones (corporate finance, investment management) here at King's. There are exceptions though (both accounting teachers you get on the 1st year are great). If you wanna work in finance/banking/investments take the Economics & Management course here at King's or go to other schools such as Warwick, Cass, LSE, Manchester since the business management course at King's does not prepare you well. If you wanna pursue a career in consulting, HR, entrepreneurship, business development, marketing, the BM course at King's might be a quite good option. Drop me a private message if you have any further query. Would you recommend the Business Management course at KCL? I know that entry is competitive but I don't think it's quite appealing since KCL doesn't even have a business school or a placement year. However, I do like KCL as a university overall. I also have offers from Manchester, Nottingham, Warwick, and Bath. Which university should I firm/insure? At the moment I'm leaning towards Warwick or KCL as my firm and Manchester as my insurance. I would firm Warwick and insure Manchester or Bath. Both Warwick and Manchester are very well-known globally both as universities and business schools. Bath is mainly known in the UK, maybe Europe. It is still a top UK uni and has a rather good school of management though. If you wanna do Investment Banking or Finance, work your arse off and meet Warwick's offer requirements. That's your best bet. I have been to banks for interviews and assessment centers and the majority of students I met there were from Warwick, studying either Economics or a course at WBS. Warwick is a target uni along with Oxbridge, Imperial, LSE and UCL. Also, from what many of my friends studying at Warwick told me, the campus is beautiful, facilities are modern and great, teaching is very good, course are stimulating and interesting and students are competitive. The only downside of Warwick is the remote location, but that will allow you to concentrate on your studies and save tons of money on accommodation and living expenses. Also, London is a short train ride away and there are plenty of career and social events happening on campus every day, so the middle-of-nowhere location will not affect you much imo. The course at KCL is competitive because it is a business course delivered in central London, so there is international appeal. Also, KCL is a top uni, so that attracts students. However, as you mentioned we do not even have a B-School, since the course is delivered by the Dept. of Management at the School of Social Science and Public Policy. Remember to visit all the unis you're applying to, to contact former students and to look very carefully at all the courses' modules. Going to uni is a big decision so make sure you go to the best possible and to a place where you will be happy and motivated. Is there anyone who is still waiting for replies from Kings? Will they still reject application at this late stage ? 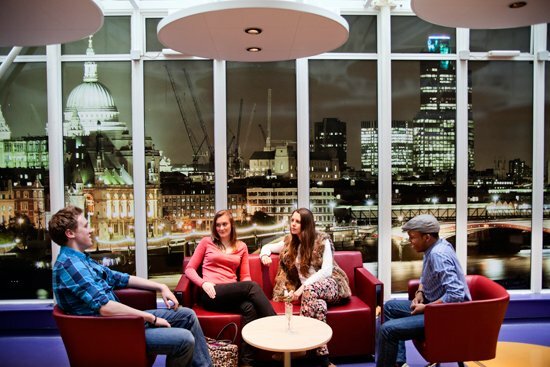 What do you think about studying Management at Cass Business School? Hey Lorenzo! I have a question concerning the Business Management course. I got an offer from the LSE (BSc Management) and from KCL for Business Management and I'm really indecisive about which one to firm. My number one question is: how much math is involved in the KCL course? And how difficult is it? Tbh. math is not my strength, I'm doing ok but definitely not my best subject. Everyone says I should pick LSE, but the modules seem to focus and evolve a lot around math, and the KCL info page about business management seems to be more focused on the management side, can you confirm that? Cass is a very good school and the course is pretty good, although quite Maths-based (my friends there told me that). The workload in the first year might be heavier than at King's. The problem with Cass is that is part of a mediocre university (City) and is much better known for postgraduate courses other than undergraduate ones. In any case, if you do not get into LSE or Warwick and do not wanna go to King's, Cass is a rather good option, especially in terms of careers and employability (great location in the City of London and career focus of the degrees). First of all, congrats on your LSE offer. I would agree with the people who told you to go to LSE - better name, better course, better facilities, better career prospects than King's. However, if yu work hard King's can get you anywhere you want as, just like LSE, it is one of those universities known globally pretty much. However, I would also agree that the course at LSE is more Maths-based that the one at King's (although I must admit that accounting and economics courses at King's are quite heavy in Maths as well). Still, the focus is more on qualitative other than quantitative subjects (although in 2nd and 3rd year you can choose to specialise in the subject you prefer, whether finance/economics or marketing/entrepreneurship). In spite of that, I would not be afraid of going to LSE even if Maths is not your strength. There might be maths and stats on the first year but from the 2nd year onwards you can specialise in more qualitative subjects if you want so it would not be an issue. Mathematics and Statistics are very useful subjects, and numerical skills are highly demanded by employers in most industries. A better aspect of the King's course is the possibility of doing a replacement year on the 2nd year abroad, whether in Toronto, Hong kong, California or other European destinations, which the LSE course does not offer. You would basically study for 2 years at King's and 1 abroad and then would be done. Not bad I would say. Nevertheless, the superiority of the LSE brand outweighs KCL's options in my opinion, also because you might do a summer school somewhere with LSE if you really wanna study abroad. I am currently holding offers from King's, Warwick and City and am really confused on which university to choose. I would like to know how much practical work is included in King's course. I would prefer a uni which does more practical work and encourages projects with other firms during the year. With Warwick this could be limited as it is not in a major city and there is not much you can do outside the campus. Travelling to London is also quite expensive. Cass does have very good links with the industry, however, the university itself is not as reputable as King's. Really confused, will be really glad if you can help out. Thank you so much, this has helped me tremendously! If you wanna get into banking/finance, firm Warwick and insure Cass. In spite of the remote location, Warwick is a super-targeted university. Big firms go there for career fairs and presentations/workshops on a regular basis. It will give you great job prospects. Also, Warwick Business School graduates are among the highest earning in the country. I have the same problem. I got offers from Warwick, City and King's. (Warwick and King's ask for A*AA and City asks for AAA). I think I'm going to firm Warwick, but I don't know whether to insure City or King's. I'm more leaning towards City because it seems dumb to firm and insure two unis with the same requirements, but King's is still an amazing university and it would be stupid rejecting an offer from such a world-reputable university. Any advice? Also, do you think that it's more employable (at top firms) a student that did a 1-year work placement or 1 year abroad? I am not planning to go into banking/finance and am leaning towards the qualitative electives. Does King's have projects that involve working with clients and approaching other businesses. It would be great if you could share your experiences on how the modules were taught and what kind of coursework you had to do. Visit all the unis and carefully consider the courses modules before making your final choice. Go where you feel more motivated and happy. Both studying abroad and working are great experiences. 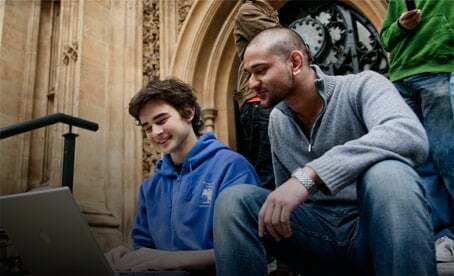 If you are a UK student I would probably study abroad (as long as you would go to a good uni and learn a new language), otherwise I would opt for a placement. in either care bare in mind that there is competition and you would need good grades (at least a 2.1 overall) to be accepted. Warwick and City offer the best opportunities in this regard imo. 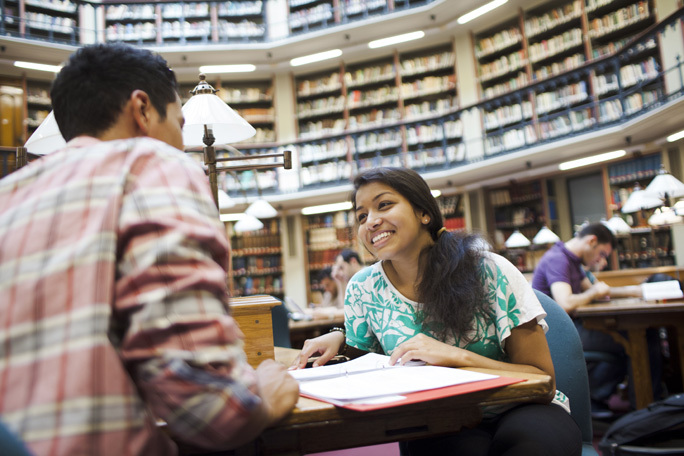 King's has also good study abroad options, at world-class unis like Berkeley, Toronto and Hong Kong. Do you know if King's tends to be lenient when accepting students who didn't quite get the grades requested? I think so..the Bachelor in Management at King's is one of the top 10 most competitive business courses in the UK, along with Warwick, Oxford (Econ & Management), Exeter, LSE, Durham, Bath. I was told last year they got something like 15 applicants per place. Funny thing is the course at KCL has now the same entry requirements (A*AA) as management courses at top business schools such as Warwick or better unis like LSE but it does not match up with them imo. Especially the first year is too easy and there is too bloody much focus on social sciences. If you enjoy a more practical learning (which I realised is what I wanted too late), do not come to King's. From what I've seen over my first semester year, the school is more about the name and "prestige" than high student satisfaction and great student experience. This is my opinion though - there are people on my course who are loving their time at King's.